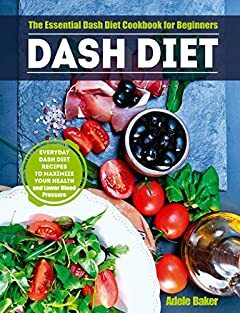 With Dash Diet: The Essential Dash Diet Cookbook for Beginners You Will Learn how to implement a healthier way of living, maximize your energy and lower blood pressure. DASH stands for dietary approaches to stop hypertension. This diet is trustworthy, real and doesn’t require drastic changes. As the risk factors suggest, the recipes in this book call for almost no salt but allow herbs and spices. The general diet plan includes eating more fruits and vegetables, and grains and beans. It is rather plant based but allows dietary meats like chicken, rabbit and beef. Color your life with bright and healthy foods and your body will be thankful.